You can do a lot with an effective team – just ask our Team NZ sailors. Despite the backing of the whole country, when it came down to it, the success of Team NZ rested on the performance, intuition and skill of those on the boat, and without it, there may well have been a different team left raising the America's Cup. While not every business is in the industry of multi million-dollar sailboats, we all have our own Team Oracle's to face. Building a better, more effective team can help your business gain the edge it needs to stand out from the competition, but implementing this team takes more than willpower alone. Technology has been credited in playing a big part in securing Team NZ's victory. Technology has been credited in playing a big part in securing Team NZ's victory and reclaiming the cup since we lost it over a decade ago. Combining the power of IT services with the strength a winning team, here's how business can make the best use of both. "It's a very, very strong, tight team and we all get on really well. There's no politics. There's no egos. And so it's a team that everyone wants to be at," he said in an interview with Newstalk ZB. However, Entrepreneur cautions that even with the best strategy, there are two over-arching requirements businesses have to get right: Having systems in place to check on how teams are functioning and alter course if needed, and being able to implement this strategy right from the word 'go'. When coming up with a plan, sticking to it and changing when needed, the right technology solution can help give businesses the long-term vision they need to succeed. 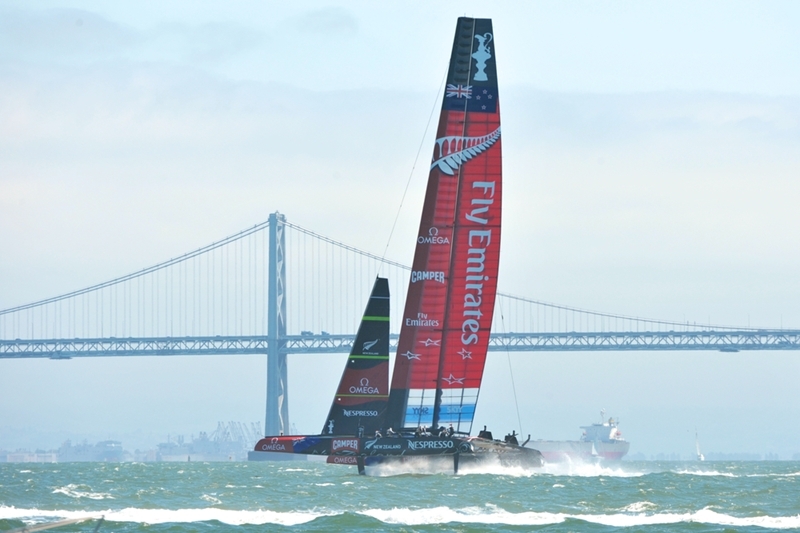 Emirates Team NZ was a perfect blend of tech and team. Without the right technology, no matter how great the ambition, there's only so much teams are able to accomplish on their own. While no one can deny the skill of Team NZ, Nick Brewer of Callaghan Innovation credits the team's investment in innovation to its success, reports Fairfax Media. Likewise, finding out how technology can best contribute to the success of your business can help unlock greater productivity, and let your now world-class team out-class the competition. To find out more, get in touch with the team at Imagetext Integrated Solutions today.